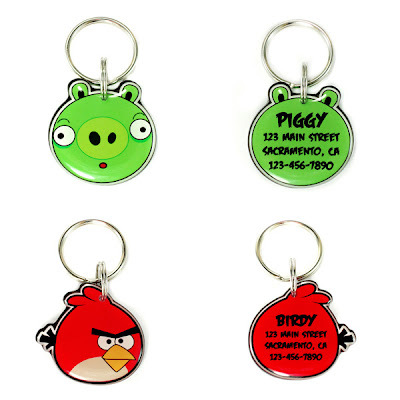 Check out our NEW Angry Bird Pet Tags! We have 2 more designs in this collection that have not been photographed yet, I hope to get these up on the site by the end of the week. I know Temple Run is the new Angry Birds today but these ones are super cute. I want those keychains.